Emergency Tree Service | Santa Ana Tree Service Co.
We offer emergency tree services in Santa Ana for any recent damages caused by or done to your trees at very affordable prices. Southern California is known to many for it's perfect year-round weather. However, our environment also presents threats for trees in specific regions of Orange County due to the Santa Ana winds, high risk of fires and earthquakes. In addition, we also know that our heavily populated area also consists of more cases of tree accidents and emergencies that frequently happen on a daily basis. If by any misfortune you're in need of emergency tree service right away, we're the right company to call. We've helped restore, assist and remove fallen trees due to many tree accidents and we don't plan on stopping anytime soon. 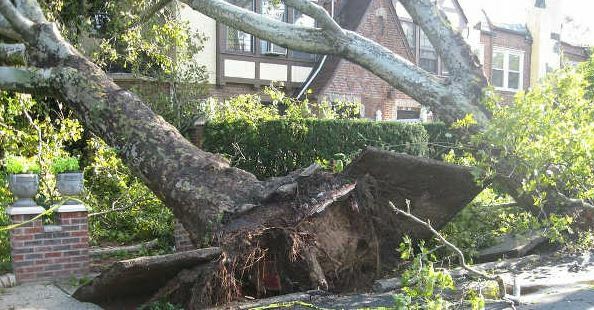 Let us handle your tree emergencies with a professional and cordial service. No single person likes when lightning strikes and the fact is that it happens every day. That's why we're here to help. Our tree emergency services offered include a proper removal of any broken or dead trees, a preventative touch-up if needed, clean-up and leave removals and back-filling any material lost as required. Not every situation can be avoided and when natural weather cycles or accidents happen, it's imperative to have a company to call on. We're trusted with many Santa Ana tree service clients and we know we can create at level of trust with you as well. Get a hold of us immediately if you're facing a tree emergency service need. Our client's best interests are in ours as well. We know we can respond to your emergencies with proper care and attention. Our company carry's the right types of equipment, saws, trucks and crew size to ensure each tree is removed, trimmed or cared for properly. Call us today at (714) 874-9410​ or use our form via Santa Ana Tree Care Contact Page to send us more information on what you need done. Feel free to include any pictures of the damage so we can assess what's needed to provide you with a fair estimate.